The Church of the Saviour on Blood in St Petersburg is a must-see on any trip to Russia, especially when you travel to Russia visa-free. Also known as the Church of the Spilled Blood. 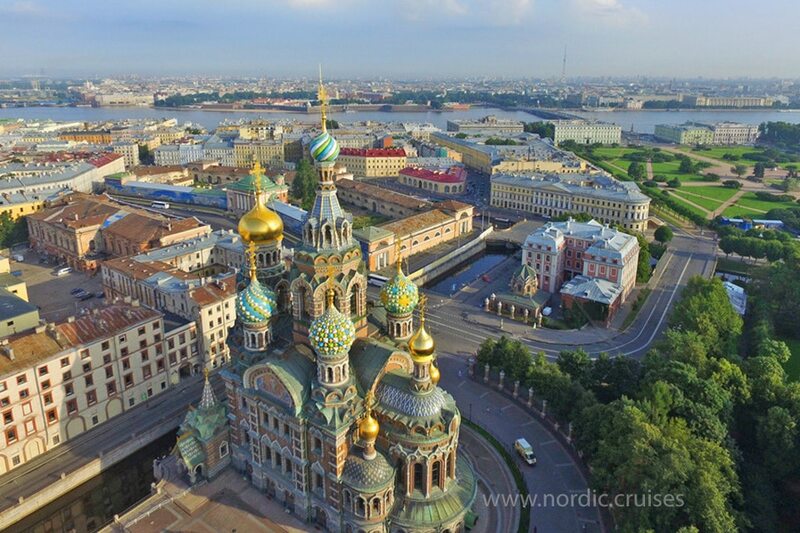 It is a sacred landmark in St Petersburg and is one of the main Russian Orthodox cathedrals in this imperial city. The official name of this cathedral is the Church of the Resurrection of Jesus Christ. The reference to “blood” in its more common names is in reference to the blood of Jesus Christ at his crucifixion, but also has a more contemporary symbolism. What is the Church of the Saviour on the Spilled Blood? The Church of the Spilled Blood is situated on the site of the assassination of Tsar Alexander II, which occurred on March 13, 1881. Alexander II of Russia, who was also the Grand Duke of Finland and the King of Poland, became Tsar of Russia in 1855. He emancipated the serfs of Russia in 1861 and was responsible for much reform in the country. He sold Alaska to the US in 1867 to keep it out of British hands, and worked towards peace in Europe. There were numerous unsuccessful attempts on his life during his time as tsar. In 1881 he fell victim to a successful assassination attempt when a bomb was thrown under the carriage he rode in. He escaped this but was killed when a second bomb was thrown at his feet. Much of his blood was spilled onto the snowy street and he bled to death in the Winter Palace. His son Tsar Alexander III began working on the design and construction of the church on the site of the assassination in 1883; this was not completed until 1907, during the reign of the last Russian Tsar Nicholas II. Following the Revolution, the church was looted and damaged, and it was closed by the Soviet government. A vegetable warehouse during World War II, it was used as an opera house later until it came under the management of St Isaac’s Cathedral in the 1970s. It was reopened in 1997 after restoration. It has however not been re-sanctified and is not used as a primary place of worship. What do Visitors to the Church of the Saviour on Blood Need to Know? The church is located on the Griboedov Canal. The building is unique in that it represents Russian architecture from the medieval period, similar to that of Moscow’s St Basil’s Cathedral, whereas most of St Petersburg is designed in a Neoclassical and Baroque fashion. Notable Russian artists from the late 1800s designed the church. The actual site of the assassination of Alexander II is located within the church walls. It is marked with a shrine garnished with semi-precious gemstones including lazurite and topaz. The church also features intricate biblical mosaics. More in number than any other church worldwide. It has to be seen in person to be fully appreciated. The Church of the Spilled Blood is today one of St Petersburg’s main tourist attractions. 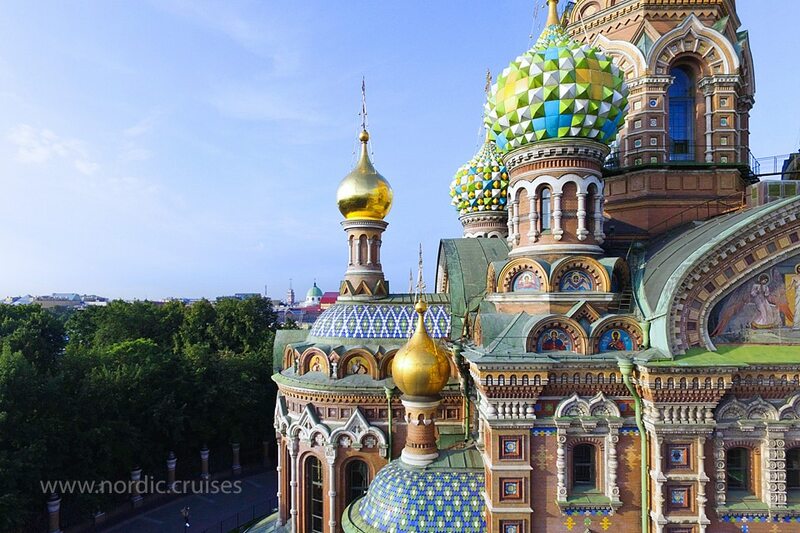 Travel to Russia visa free with Nordic Cruises and experience this amazing St Petersburg landmark for yourself.